Transworld Album. Hardback album, 135 pages, A4 size. Pages printed in black with country headings plus some information about each country. Super Stamp Starter Pack. 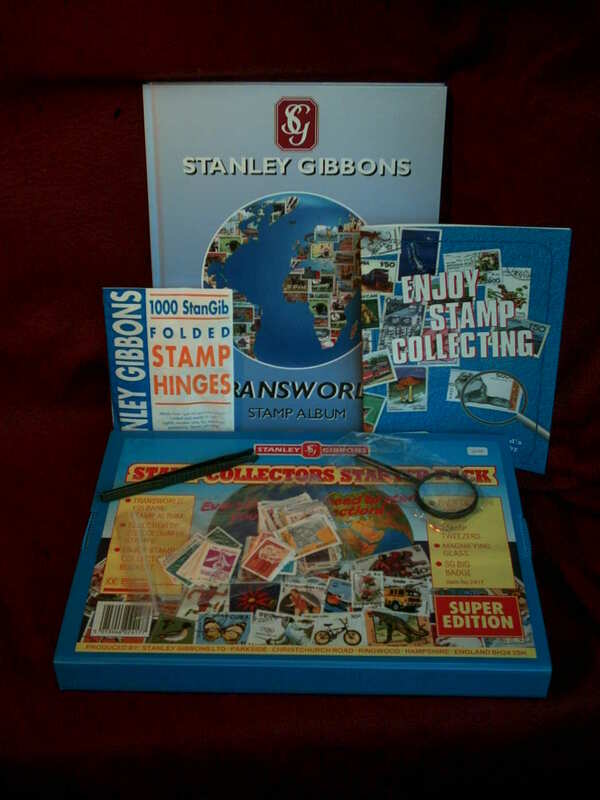 Supplied in a blue correx carrying case, contains the Transworld album described to the left, plus a packet of 250 thematic stamps, 1,000 hinges, tweezers (plastic), a small magnifier, and a copy of the little book "Enjoy Stamp Collecting". Very suitable for a beginner, probably aimed at age range roughly 8 to 12, but still suitable for younger children, or for an adult who just wants something straightforward and a bit traditional. This is one of our most popular lines, both in our shop and mail order.